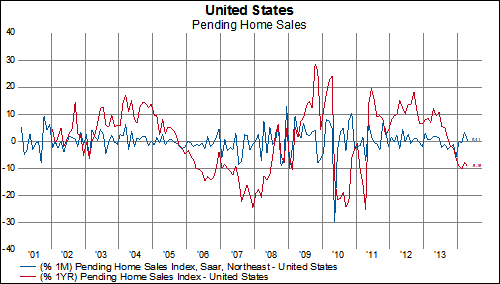 Pending home sales rose by only 0.4% in April vs estimates of a 1% month-over-month gain. 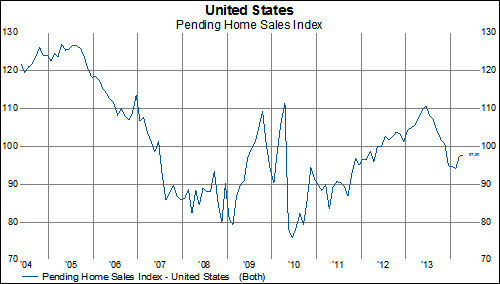 Pending home sales are down over 9% year-over-year. If you are living in the West or the Northeast than that decline looks great compared to fall they are experiencing in those regions. 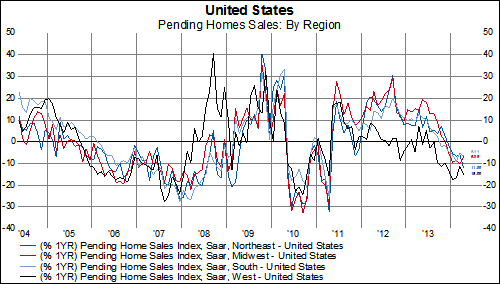 The West is down 15% year-over-year and the Northeast is down 12% year-over-year. 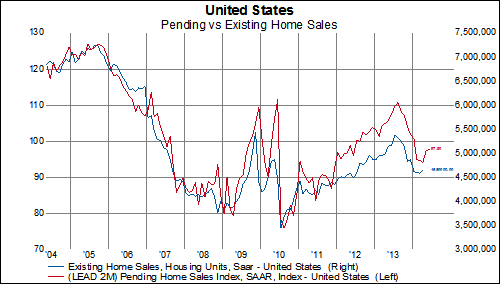 The silver lining is that pending home sales is suggesting a gain over the coming months for existing home sales perhaps back to the 5 million annualized level. Perhaps if we continue to get a decline in bond yields like we did yesterday (the 10-year is down another 3 bps so far today) then lower mortgage rates will incentive more buyers back into the market.